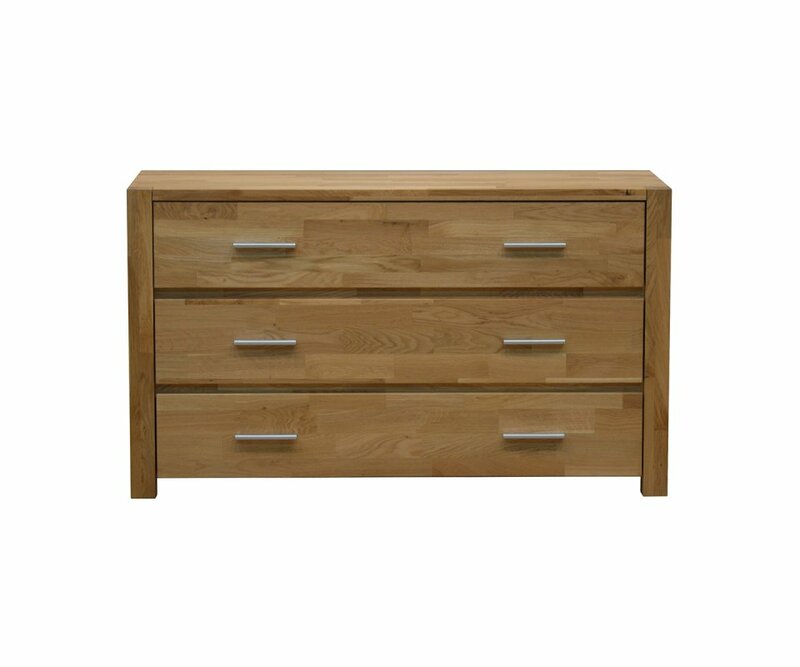 SCANDINAVIAN MODERN STYLE: Warm oak woodgrain finish and sleek clean lines make this chest a contemporary piece that will fit in with your other furniture, and will complement most home décor color schemes. 3 ROOMY DRAWERS FOR STORAGE: There’s room for bulky sweaters, jeans, extra blankets, or whatever you need to store in these three spacious drawers! 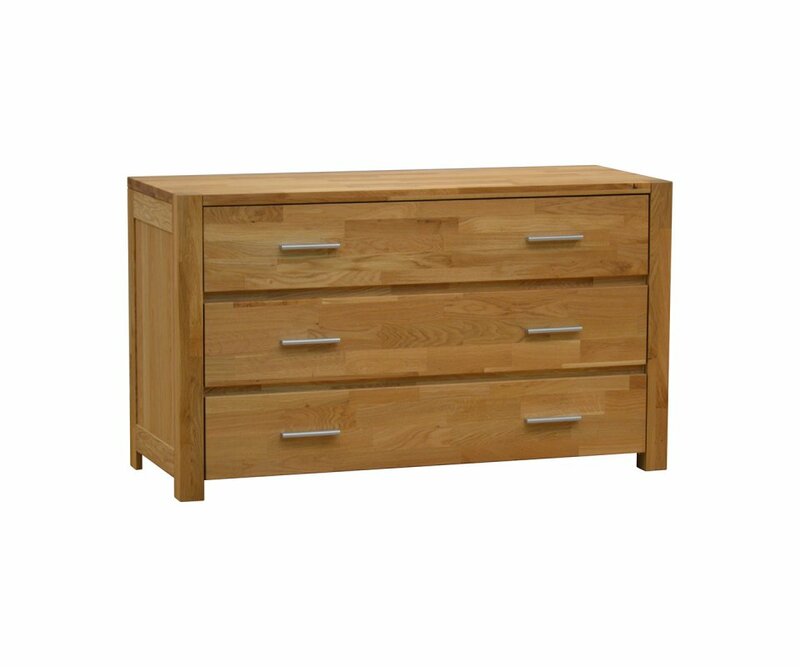 OAK FINISH VENEER: The French oak veneer is on the top and front sides of the chest, and protects against scratches, dents, chips, and water discoloration. 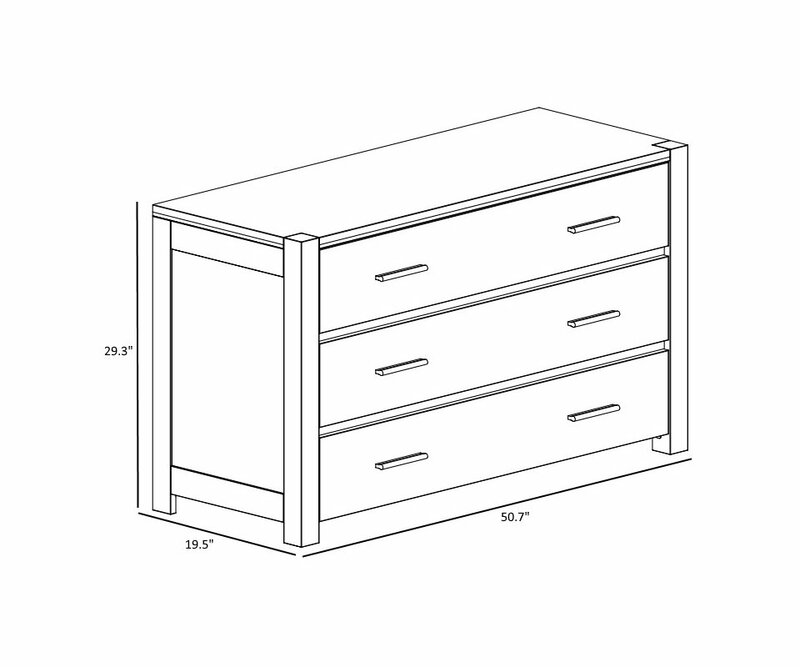 ELEGANT DRAWER PULLS: Brushed silver-colored drawer pulls are slim and sophisticated, and add a designer element to the chest. ECO-FRIENDLY PRODUCT: The Parisot Company is committed to making eco-friendly products with wood from only eco-managed forest sources, and manufacturing with low solvent emissions, and recycling and packaging with ecologically safe products.